Achieving musical excellence has always been a goal of Conductor Robert Neese. Like his teacher Dr. Árpád Darázs, Mr. Neese loves choral music and enjoys every opportunity to perform choral works. He received a Bachelor of Music Degree from the University of South Carolina in 1974, where he studied conducting under Dr. Darázs. Mr. Neese continued his studies at the New Orleans Baptist Theological Seminary and received a Masters in Organ Performance in 1978. 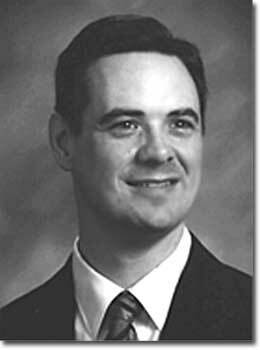 Mr. Neese has served as choral director, minister of music, and principal organist at a number of churches in South Carolina and Louisiana: Southside Baptist Church, Columbia; St. George's Episcopal Church, New Orleans; Valance Street Baptist Church, New Orleans; First Baptist Church, Laurens; First Baptist Church, West Columbia; Asbury Memorial United Methodist Church, Columbia; and St. Paul United Methodist, St. Matthews. He has also served as accompanist and associate conductor for the Palmetto Mastersingers; musical director for the Piedmont Gateway Chorus in Greenville; director of the Cayce-West Columbia Community Chorus; accompanist for the Anderson Civic Chorale; a member of the Columbia Choral Society; and Associate Director of Music at St. Martin's-in-the-Fields Episcopal Church in Columbia. In addition to serving as a conductor/organist, Mr. Neese has taught piano, organ and music theory for over twenty years. He currently teaches at Carolina Music Academy in Columbia. Mr. Neese was honored by the Cora Cox Lucas Music Club in 1985, listed in Outstanding Young Men of America in 1984, and was the convention organist at the South Carolina Baptist Convention in 1989. He is a frequent adjudicator for choral festivals throughout the state. 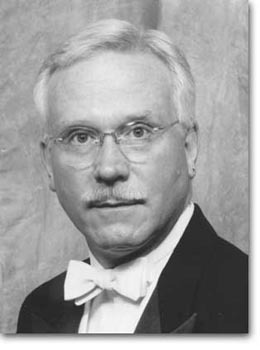 Along with several other University of South Carolina music alumni, Mr. Neese formed The Árpád Darázs Singers in 1987 and has been its sole conductor. We are pleased to enjoy the talent of our accompanist, Robert E. Jones, returning for another season. Robert is the organist of Northeast Presbyterian Church and an independent piano teacher in Columbia, SC. He holds a doctorate in piano pedagogy from The University of South Carolina. His previous degrees include a Master of Music degree in Piano Performance and Pedagogy from The University of Georgia and Bachelor of Music degrees in Piano Performance and in Music Education from Valdosta State University (Valdosta, GA). A member of the Columbia and the South Carolina Music Teachers Associations, Mr. Jones was granted national certification as a teacher of piano by the Music Teachers National Association in 1994. He has been an independent teacher for many years and is a former Assistant Professor of Music at Thomas University in Thomasville, Georgia. During his collegiate years Jones was twice a State Finalist in the Georgia Music Teachers Association's College Piano Auditions. He gained memberships in Who's Who Among Students in American Universities and Colleges, The National Register of Outstanding College Graduates, Who's Who in Music, and Pi Kappa Lambda, the only national music honor society in America. An experienced recitalist, Jones has performed extensively as piano soloist and as accompanist. He has performed numerous solo piano recitals throughout Georgia and South Carolina and is in considerable demand as an accompanist, either as pianist or organist.